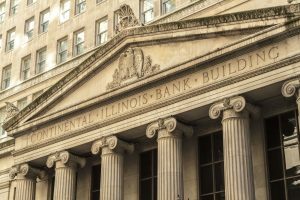 Recently published research by premiere consulting firm McKinsey concludes that past banking competition for deposits was determined primarily by the size and location of branch-networks, but that is losing it’s traction. Since more and more customers interact with their bank using digital means, bank locations will be less important, and banks should be pouring more investment into marketing and advertising to attract the deposits that support growth. While bank-architecture has been about promoting an image of solidity and safety, building trust will require new approaches. Building trust through marketing will become more important. At every level of ad-sales, one key to a winning sales argument is to focus on the assumptions that are required for your prospect to agree with you. Using “challenger selling” will help you set the stage to win by challenging your prospects on how they’ll build trust in the digital age. Advertising with trusted brands, is the starting point for building trust. Consistency is another principle of trust-building. And advertising in print is especially important because it is a trusted medium, and print targets customers with money. There are almost five thousand FDIC insured banks in the US alone…meaning there is one or more for almost every local market. So local, regional and national media will all have a crack at a new category that should be increasing spending.